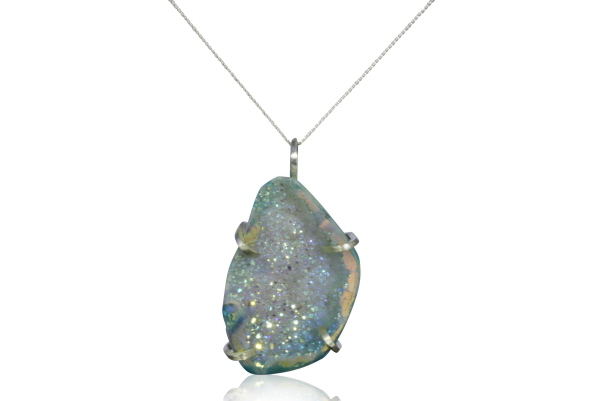 It is crafted from an exquisite sliced piece of Druzy Agate set in a handcrafted sterling silver claw setting. The Agate has been Titanium coated - giving the most amazing shimmer! Hung from from an 18 inch solid silver curb chain. The necklace comes BEAUTIFULLY boxed in a high quality velvet lined jewellery box - and even comes nicely gift wrapped in blue tissue paper. Would make a simple but elegant little gift!